A Pond's Life mystery cache is a kid friendly cache, located at Great Swamp Outdoor Education Center, GSOEC, a facility of the Morris County Park Commission. This kid-friendly puzzle cache lets you explore the Great Swamp Outdoor Education Centers pond and introduces you to some of its inhabitants. 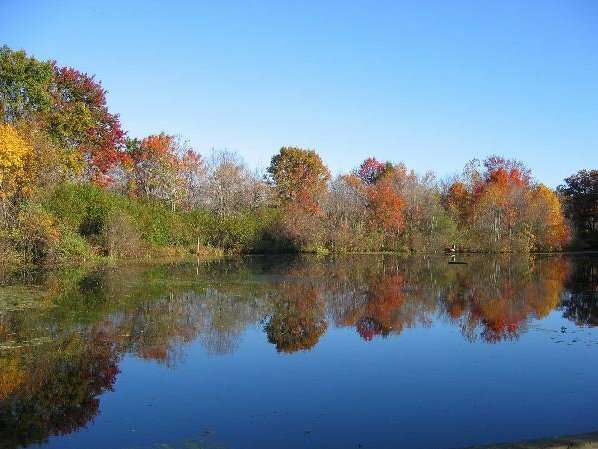 This manmade pond hosts a wide variety of wildlife year round, including migrating songbirds, green frogs, sunfish,many dragonfly species, river otters, wood ducks, great blue herons, painted and snapping turtles, belted kingfishers,among others. The published coordinates take you to the pond deck where the answers to the puzzle below can be found. You must solve the puzzle questions to get the coordinates for the second stage. While you're at the pond, see if you can identify two things that the GSOEC staff have done to help wildlife. Answers can be found inside the cache. The Center has beautiful walking trails throughout the many habitats, including upland forests, meadows, marshes, ponds, streams and swamps. The Center is open all year from dawn to dusk to enjoy the changing seasons. Trail maps and program guides are available in the information center. The Great Swamp was formed by a melting glacier which created a lake 30 miles long by 10 miles wide, named Glacial lake Passaic. 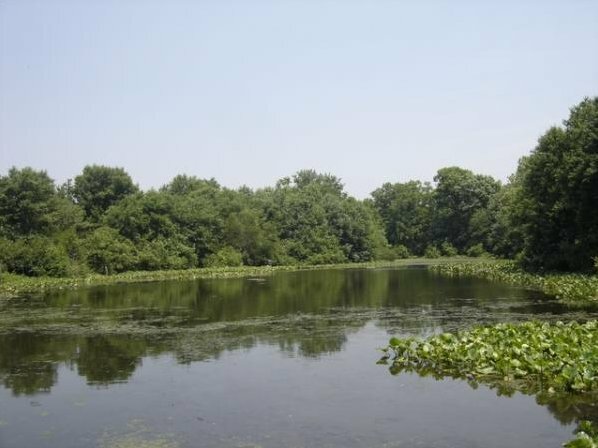 Over time the lake receded and formed the Passaic River, what is left of the Glacial lake Passaic is now the Great Swamp and surrounding marshlands. There in no need to bushwhack, Please remember to stay on the marked trails as you navigate to the cache. You are in sensitive wildlife habitat! Maps are available in the Visitors Center or at the parking lot kiosk. The published coordinates take you to “A Pond’s life”. The answers to the puzzle can be found at this location. You must complete the puzzle below to acquire the coordinates to continue the journey to the Final cache . A=____ A pond is considered less then how many feet deep? 1. = 18 ft. 2. = 24 ft. 3. = 36 ft. 4. = 48 ft.
B=____ What wetland grasses resemble that of a hotdog on a stick? C=____ There are a variety of turtles living in the pond, which turtle can be seen basking in the sun on a fallen log? D=____There are many types of ducks which live and visit the pond, which duck nests in wooden boxes at the edge of the water? E=____What tree is most common tree found in the Great Swamp? F=____ What shrub is found in all 48 states as food for wildlife?